We are thrilled and proud to announce that Grand Championship Series 2 is upon us! It all begins in June with Barbarossa. The first of four huge qualification tournaments, where players will fight tooth and nail to reach the GCS2 live tournament. Only eight warriors will rise from this awe inspiring spectacle. They will have the honour of fighting head to head, live, for the title of Grand Champion of Company of Heroes 2. More below. GCS1 was an amazing tournament. Its live final is a great foundation for what is to come. But, we, organiser A_E and top caster Stormless, were disappointed in the live production quality. This has instilled upon us a burning desire to improve on the concepts of the first GCS in every way possible. In order to create the greatest esports calibre tournament imaginable for Company of Heroes 2. Community member Ed80hertz is supplying us all with an incredible venue free of charge, a place to rival the best studios in the world. But with a key difference: the opportunity to plan for months in advance to ensure the best possible settings for the players and an awesome production for the fans. Format: The four traditional qualification tournaments will give us two months worth of fantastic competition and entertainment. All leading to a weekend long, well prepared live 8 player final. Equipment: Relic are kindly supplying us with top spec and uniform equipment, using SEGA's supplier in the UK. This ensures the players play in equal and high performance conditions. Rules: All of our rules have been expanded upon and improved to ensure fair and protected tournament play. None of this can be possible without you. This event will shape our collective summer and drive our playerpool upward and onward into battle, but it needs the generosity of your patronage and support. Sponsors will not drive a tournament for a game as old as this one, it needs to be driven by the passion and commitment of its fans. Help us create an incredible opportunity for our best players and lasting entertainment for all of us. Please donate. Every single penny will be spent on the project in a split in keeping with GCS1. We will now, however, have the scope to improve and expand in all areas due to better experience and support. GCS2.ORG is our fundraising website and hub, it's a sleek alternative to Kickstarter and spread sheets. The ".org" was the least expensive URL. It was coded from scratch by Janne252. A huge thanks for his amazing work! 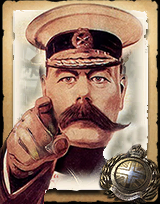 Our ties to COH2.ORG are as strong as ever, and as such all discussion and news posts will be based here, on the number one fan-site! The GCS2 team consists of: A_E (tourney director), Stormless (stream producer), Janne (site coding), and Ed (venue manager). As mentioned, the qualification process for GCS2 will feature four weekend long tournaments in the tried and tested format that we've grown to love. Of course, Stormless and A_E will be casting but also: Romeo, DK Imperial Dane, and NZ Tightrope will be casting the live action, so together we'll ensure the viewers don't miss a thing! The eighth qualifier voted in by benefactors.